Can parking spaces get a second life? A student project in Atlanta helps demonstrate the possibilities in every stall. 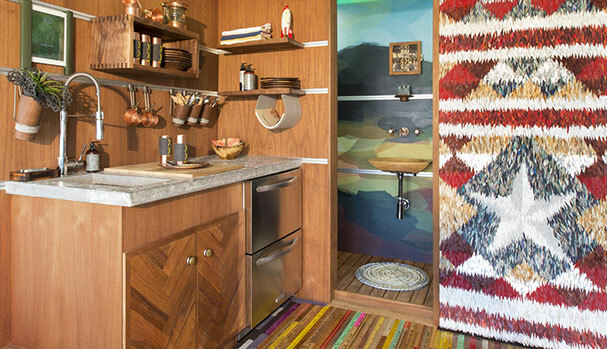 Students at the Savannah College of Art and Design created three “SCADpads:” 135-square-foot micro-apartments designed to fit in the space defined by a single parking spot. Three prototypes for these modular homes, which cost $40-$60,000 to construct, were installed in an Atlanta garage this spring, to help model what might be a more sustainable paradigm for the city. Each micro-apartment was designed by the students to reflect the culture of a different continent: Asia, North America, and Europe. Each was outfitted with a small kitchen, a sleeper-sofa, a bathroom, and some high-tech features like iPad-controlled “smart glass” windows that can be obscured for privacy. 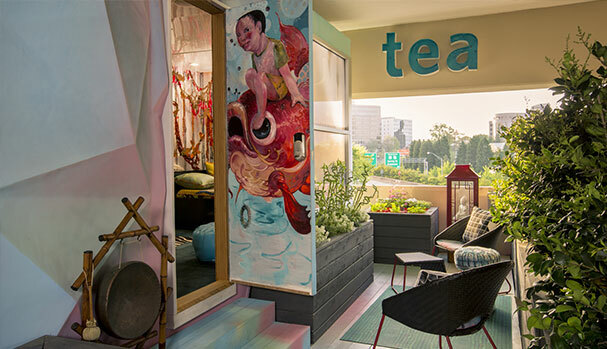 In addition, each apartment included a “porch” area, the size of an additional parking space, and a shared community garden that harvests “grey water” from the sink and shower. Since April, the SCAD installation has been hosting people who stay overnight, mainly students and alumni of the college. I’ve lived in studio apartments before, but nothing quite so tiny. However, while small in square footage, the SCADpad felt more spacious, thanks in large part to the airy design and those big smart-glass windows. That said, the kitchen is minute: it’s impossible for two people to work side-by-side. The sofa/beds are spacious: two of us comfortably lounged to watch Italy play England on the iPad (the SCADpads are equipped with speedy Wi-Fi). But when friends stopped by to visit, we quickly learned that it’s difficult to fit four people in one of the units. There was no room for us to comfortably entertain guests in our tiny apartments, but the common-area lounge was relaxing, and offered great skyline views. The community garden offered a soothing contrast to all the concrete – and yielded salad for dinner. Apartments 300 square feet or smaller have become an affordable option for younger people in cities like Seattle, Washington, and even Cleveland and Providence, Rhode Island. 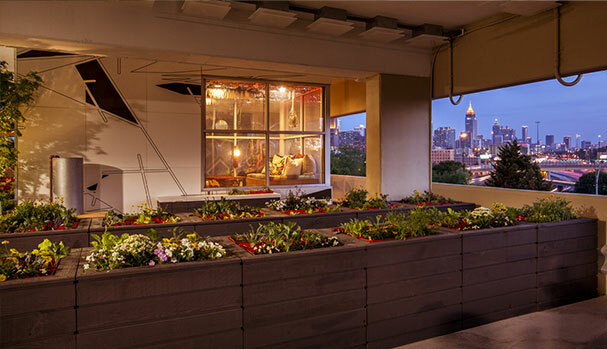 Hopefully, the SCADpads installation will help enlighten Atlantans to a new range of possibilities for some of the city’s underutilized urban spaces. A mini-kitchen for a mini apartment. This is really taking the Parking Spot Squat to a whole new level. No. Thank. You. 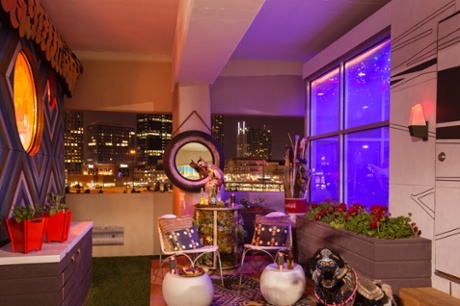 That looks about as cozy as living on Lower Wacker Drive. Actually, it’s probably warmer down there with all that building heat exhaust. I love this. If an 800sft apartment costs $1200/month, does that mean that a 135sft studio will cost $200/month? Somewhat analogous to “live-aboard” sailboats and full-timer motorhomes. Make every cubic inch count. Presumably in a future parking structure conversion, you could also get some bigger units that take two or three spaces? What I like about this is the potential for modularity of building components and systems due to standardized parking space dimensions. Like containers, building systems can be prefab and configured in 1+1, 2+1 etc. combinations, reducing costs, time-to-market, and ensuring efficient, sustainable building systems. Another draw is built-in accessibility: drive to your door, ramps, elevators, etc. are already in place and are compliant. And then there’s location (and potentially, views), since most parking garages are in urban areas or near retail. Higher-density on transit lines, walkable neighborhoods, fast Internet access, and mixed use is the automatic result. For four years running, developers have built less parking per bedroom in new construction.